As we move into winter, you should keep an eye out for any signs that your furnace is experiencing a problem. More strain on the system means more wear and tear, which means a greater likelihood for issues to crop up. The faster you can catch these issues, the better off your furnace will be. With that in mind, let’s take a look at some of the furnace problems you need to be aware of this winter. Winter is the most stressful time of year for furnaces, which of course means that it’s also the time of year when furnace problems are most prevalent. If you’re using a furnace to keep your home warm this winter, you’re going to want to keep an eye out for any problems that may develop. The sooner you can get problems repaired, the more damage you can prevent. With that in mind, let’s take a look at some furnace problems that you should know about. Have you noticed your furnace turning itself on and off every couple of minutes? That’s called “short cycling,” and it’s a serious threat to the health of your system. If not fixed as quickly as possible, it can easily shorten the life of the system and make breakdowns more likely. Let’s take a look at why short cycling happens, and the damage it can cause. Winter is finally here, and that means you’re probably relying on your furnace on a daily basis. There are a couple of precautions that you need to take while you’re using your furnace that often, one of which is cleaning the air filter every couple of months. If you don’t do this, you run the risk of causing short cycling to occur in your system. Let’s take a closer look at short cycling, and the damage it can cause to your furnace. 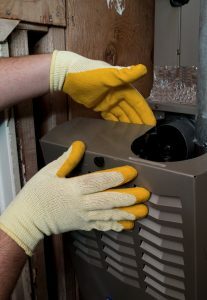 As the days start to get colder, you’re going to start relying on your furnace to keep you warm on a day-to-day basis. At some point, you may start to hear strange noises coming from your furnace. 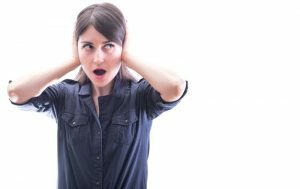 Unusual noises are often the first sign of a problem with your system. Let’s take a look at some of the more common noises that you need to listen for. Furnaces are reliable heating systems, but at some point during your ownership, it is likely your furnace will need repairs. A number of problems can develop with your furnace, but there are some furnace repairs in Gainesville that our technicians see with relative frequency. The repair of a heating system is complex, so it’s important to hire trained technicians for all your heating repair work. For almost 15 years Touchstone Heating and Air Inc., has helped numerous customers with their furnaces, and we can help you, too. Call today! The blower fan is responsible for pushing the warm air from the heat exchanger into your ductwork. Different problems can arise with the blower fan, such as motor issues, problems with dry ball bearings, bent or loose fan blades and worn fan belts. Many of these types of issues can be detected during a routine maintenance appointment, which is one of the reasons why fall maintenance for your furnace is important. Standing pilot light – with a standing pilot light, a dirty nozzle can inhibit the flame, weakening it or even putting it out. A more complex problem with a standing pilot light may involve the thermocouple. Intermittent pilot light – intermittent pilot lights ignite a small flow of gas from an electronic spark; as such, one of the common problems with this type of ignition is an issue with sparking. Another common problem has to do with positioning: if the pilot is too far away from the spark, it may not ignite. An intermittent pilot light can fail for a few reasons, so it’s best to allow a technician figure it out. Hot surface ignition – a hot surface igniter is a small, silicone-encased probe that heats via electric current. Once the surface of the igniter reaches the right temperature, the gas flowing from the burner is ignited. It is very common for hot surface igniters to crack after a period of continual use, due to the high fluctuation in temperatures the component experiences. The heat exchanger in your furnace heats the warm air for your home while simultaneously venting the toxic fumes created during the combustion process. One of the most common problems that develops with heat exchangers is cracking. Cracked heat exchangers can allow toxic fumes, such as carbon monoxide, to escape from the inside of the heat exchanger tubes. Cracked heat exchangers cannot be repaired, so it’s important to hire professionals for replacement. If your furnace isn’t working properly, call Touchstone Heating and Air Inc., and schedule an appointment with one of our experts.